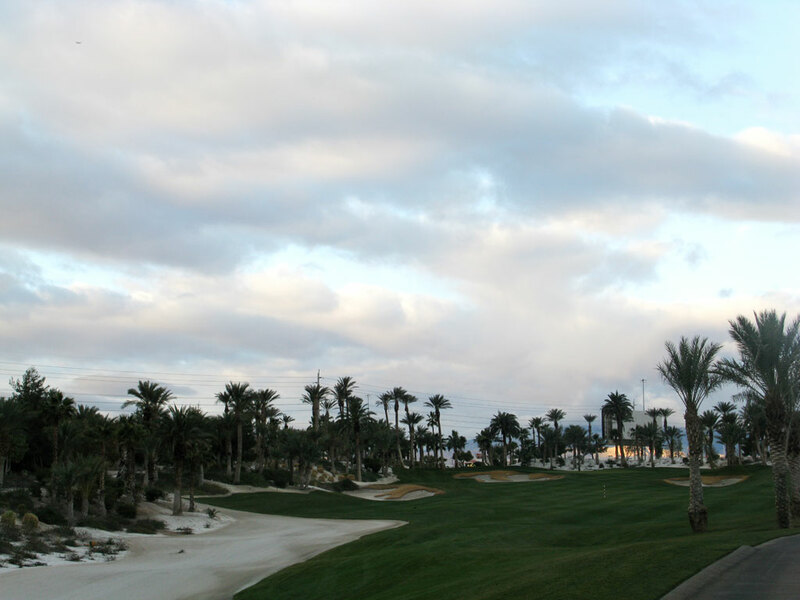 Course Website: Official Website - Visit Bali Hai Golf Club's official website by clicking on the link provided. 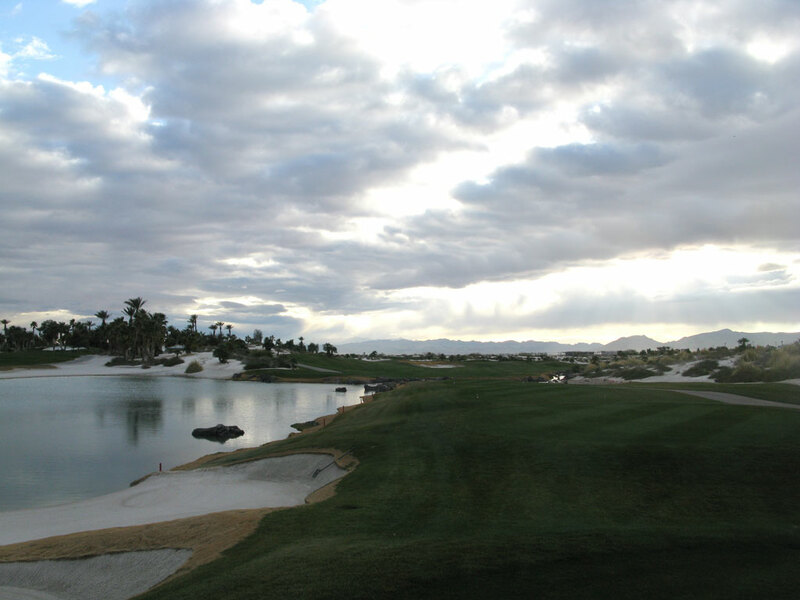 Accolades: Ranked 14th in Nevada on Golf Course Gurus' Best in State list. What to Expect: In the fantasy world of Las Vegas the goal of Bali Hai is to deliver a course theme that takes the golfer to the South Pacific. Like most Vegas experiences, an exceptional job is done to create this fantasy world but there is always something that reminds you that you are still in the Nevada desert oasis, and in Bali Hai's case it is the airport. 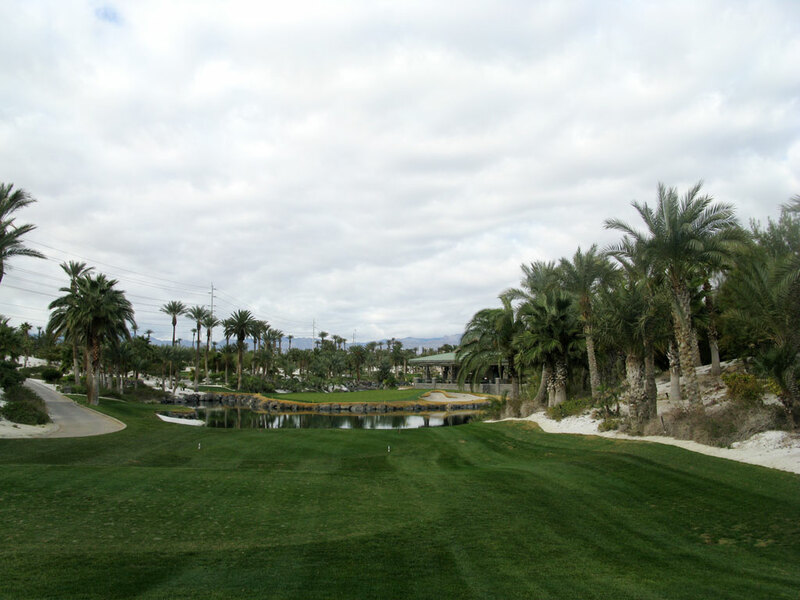 Bali Hai is the most convenient course to the famous strip and is pinned on the other side by the airport which sees flight coming in every few minutes. So while there are moments that the golfer is really soaking up the beautiful surroundings and fantasy setting, he is snapped back to reality while standing over an approach shot and trying to concentrate while a 737 is flying over. Beyond those pluses and minuses, the layout at Bali Hai is solid. 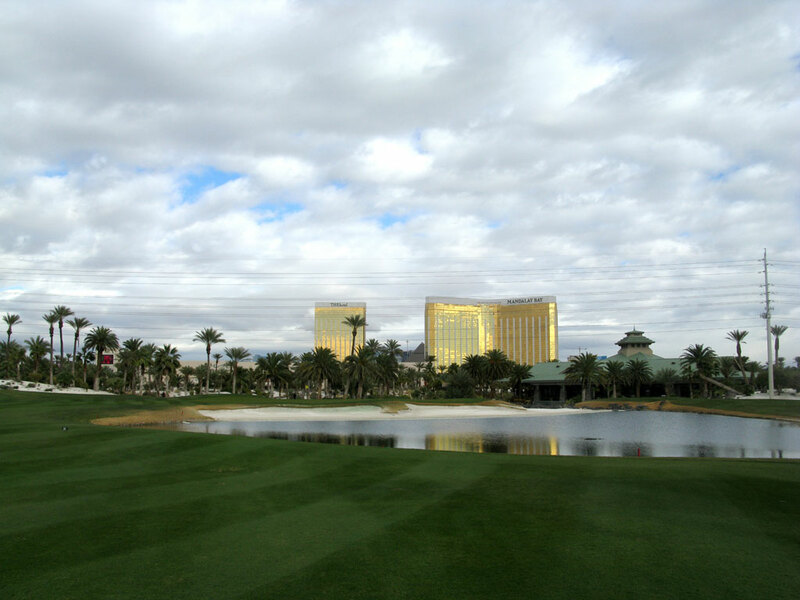 There are several holes that feature water hazards and the collection of par 3s are as pretty and challenging as any grouping in Vegas. 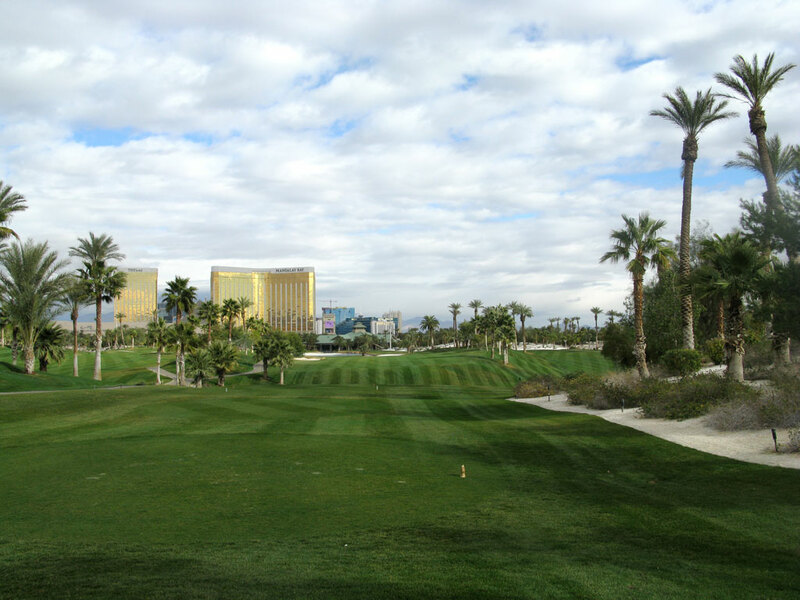 The 18th hole has been recognized as one of the finest par fours in Las Vegas and delivers a challenge, beauty, and satisfying finish to a memorable round of golf. Signature Hole: 16th Hole – 141 Yard Par 3 – With a beautiful South Pacific theme, there are plenty of pretty holes at Bali Hai, but none embrace the theme quite like the quaint 16th hole. 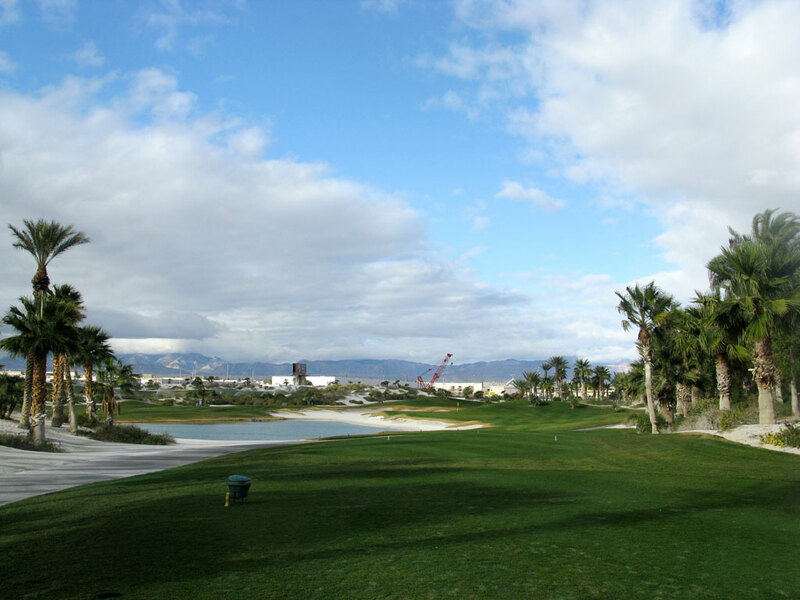 This beautiful sub-150 yard one-shotter is framed by palm trees and plays to an island green featuring a pair of brilliant white sand bunkers. The putting surface features a prominent ridge which creates some creative putts depending on the pin placement for the day. Best Par 3: 11th Hole – 190 Yards – From the tee you emerald green grass that is framed on the left by brilliant white sand that flows to the left into sparkling blue water; it is a serious amount of eye candy. The best play is to play a draw that starts out to the right above the bail out area and traces back in to the green. A large ridge runs through the green and creates two distinct sections on the putting surface to consider pin placements on. It is a beautiful hole that embraces Bali Hai’s fantasy theme. Best Par 4: 3rd Hole – 468 Yards – This hole is named “Shipwreck” which could describe your scorecard if you leak any shots out to the right. A creek runs the entire right side of the hole and the fairway slopes towards the water. This lengthy par four doglegs right and plays to a green that breaks from left to right off the hillside that runs the left side. This is the first hole at Bali Hai that features both sand and water; a theme that reoccur several times throughout the round. Best Par 5: 7th Hole – 550 Yards – “Bali Beach” is a double dogleg hole that is reachable in two with a big drive over the bunker on the left. A large waste bunker runs up the right side of the hole and blends into a large bunker about 100 yards from the green. Approach shots that came in from the left side of the fairway will open the green up for the best angle and will make the greenside bunker on the front right side of the putting surface less of a factor. 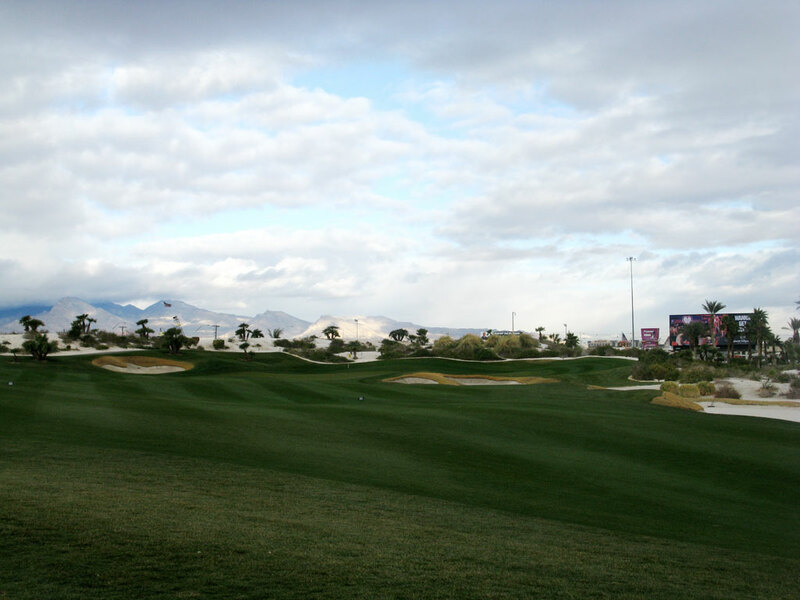 Birdie Time: 1st Hole – 341 Yard Par 4 – This classic warmup hole is an early opportunity to get under par. Measuring under 350 yards from the tips, this short hole features a generous fairway and just one greenside bunker. Pin positions on the right will be virtually unguarded while pins on the left will bring the bunker into play. The green is relatively tame and opens the door to being aggressive on your birdie putt; so put away the 1st hole excuses and get things started off right with a 3. Bogey Beware: 18th Hole – 486 Yard Par 4 – Bali Hai’s final hole is a near 500 yard brute that proves to be the course’s stiffest test. The drive isn’t the most difficult part of the hole, but if you screw it up then you are taking a par. The fairway bunker on the left can be carried with a modest drive and is a good target to identify on the tee box. Water protects the green that is also surrounded by sand. There is safety to the left where the fairway cuts into the green while approach shots that hang out to the right will find a watery grave. The green is wide but shallow, but an approach shot from the left will open up the green a bit and increase your chances of finding the green. In the end, whenever you have to hit a long approach shot over water it is a difficult feat to tackle and can lead to unconfident swings and poor scores.